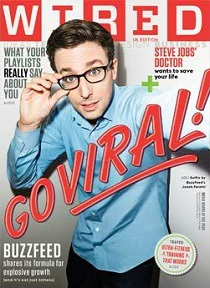 Is there, at this point, anything left to learn about BuzzFeed founder Jonah Peretti and the inner workings of his Wonka-esque viral factory? Let’s take a look. 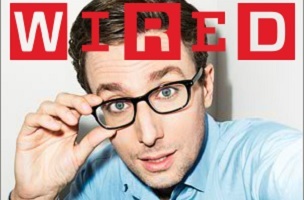 For the February Wired UK cover story, editor David Rowan notes that the conference rooms at BuzzFeed’s new offices at 200 Fifth Avenue are all named in honor of ragingly successful Internet memes like “Princess Monster Truck” and “Grumpy Cat.” There is also mention of The Golden Rules of Shareability, the gobstopper document given to every new BuzzFeed employee. “Ben [Smith] drilled into me that if you’re doing something that will get only 50,000 views, that’s fine – as long as our piece is optimized to get all 50,000 who should see it,” says Shani Hilton, deputy executive editor, previously at NBC in Washington, and whose beat now includes tech, LGBT, fashion and sport. Article author Rowan is also to be commended for roping in the point of view of VICE co-founder Shane Smith. Read the full story here. If you care about where the Internet content business is headed, this is a must-bookmark.